Prof. Antje J. Baeumner, University Regensburg, Institute for Analytical Chemistry, talks to AZoNano about her research into novel Nanomaterials for improved food safety. It was recently announced that you will be presenting a talk on novel Nanomaterials for microanalytical systems at Pittcon 2018. What will be the focus of your talk? My main focus is going to be on two or three different types of nanomaterials that we explore for specific applications in the analytical sciences. 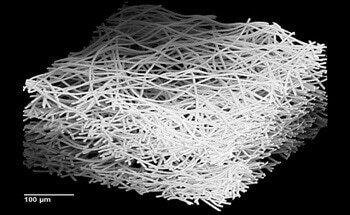 One of the nanomaterials I will discuss will be nanofibers produced using electrospinning. These fibers are only 200 nanometers in diameter and approximately 500 to 1000 times smaller than a human hair. We use these fibers because they have a very high surface-to-volume ratio, which means that we can do efficient analytical reactions for the detection of an unknown analyte. We explore these nanofibers on multiple levels using different types of starting polymer. We dope the polymer and implement it into different types of sensing strategies regardless of whether it's a paper-based platform, a microchip, or a lab-on-a chip type of platform. The other nanomaterial I will discuss are liposomes. They are hollow spheres that are surrounded by a phospholipid bilayer. We place marker molecules that we would like to detect inside the spheres. On the outside, we bind bio recognition elements. Using the markers on the inside we can generate a significant signal enhancement for our analytical assay. The third material I will discuss is a laser-scribed graphene material that we're studying for electroanalytical purposes. Why are Nano bio systems in this form important for food safety and why is this such a wide area of research? Nanomaterials can be very important for food safety applications. 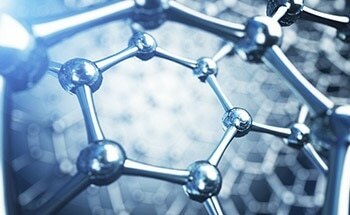 The nanomaterial we are researching provides us with new features that cannot be achieved using other materials. Those additional characteristics might provide lower limits of detection or they might allow for elevated levels of tolerance for very complex sample matrices. In food safety, you always have a complex matrix and you always need to try to detect very low concentrations. What are the main problems currently associated with food safety? One problem currently facing the industry is food that is naturally contaminated during the food processing chain. Whether it's contamination with a pathogen, or whether there are toxins present, or there are certain allergens present in the food. Some of these contaminants can have a big impact on human health if consumed, which is why it is important to identify them before they make their way into the food processing chain. The other aspect covers both food safety and food fraud issues. Fraudulent food is a global issue. How do you determine if the origin of a food product is true or false? Another issue to consider is the adulteration of products like olive oil or milk mixed with cheaper substances. These food products may claim to be 100% olive oil or 100% milk, but if mixed with cheaper substances can cause huge problems such as allergies or food related poisoning on a wide scale. What do you hope to achieve with the different Nano materials that you're developing? Our aim is to detect lower concentrations of a toxin, a contaminant, or a pathogen than is currently possible. For example, we would use the nanofibers as an extension of our transducer. We would use a normal electrode onto which we place the conductive nanofibers and these conductive nanofibers can then help filter the analyte out of the solution by expanding much further into the bulk of the solution. So, we would have essentially a pre-concentration of the sample poured through the nanofibers plus are able to actually detect it at the same time. We use the liposomes as a strict signal enhancement. We bind them specifically to an analyte, which results in a dramatic signal increase. This is because of hundreds of thousands of marker molecules that we have trapped within the liposome. We use the laser-scribed graphene electrode to provide an inexpensive, easy, manufacturable transducer for our micro analytical systems. Please can you elaborate on the liposomes for increasing signal output? We have used the liposomes for quite some time for signal enhancement. For example, we have used them in lateral flow assay for visual detection. We have also used them in micro analytical systems for electrochemical detection. Our most recent advancement has involved putting a marker into the liposome, which is a luminol derivative that can provide us with an electrochemiluminescence detection. Using this electrochemiluminescence detection, we can lower the limit of detection by about 150 times compared to a traditional fluorescence approach. Thus, by simply changing the detection technology, we can lower the limit of detection much further eventually resulting in rapid, very highly sensitive detection. Where do you see this these new materials being applied? I think these could be used wherever fluorescent or colorimetric markers are currently used. Liposomes could be used in place of colloidal gold to provide a significantly lower limit of detection. Colloidal gold is the current standard in lateral flow assay for visual detection. While liposomes can provide visual detection, the current research is driving towards lateral flow assay technology becoming more sensitive. This would mean that not only can you detect abundant analytes like pregnancy hormones, but you can also detect very low concentrations, for example a pathogens in an apple juice. If we use liposomes with the electrochemiluminescence detection, I think we will dramatically increase sensitivity. How does this compare to current methods that you can see on the market today? If you look at pathogen detection for food safety for example, the gold standard is microbiological detection. In microbiological detection, you take your sample and you plate it out on agar dishes and then wait 24 to 48 hours and you see what type of bacteria grow. The next step-up are molecular biological tests using something like the polymerase chain reaction or similar approaches. These molecular biological tests can perform the same detection much faster. and take typically four to six hours. However, they are complicated and can’t be performed in the field. It also requires intensive training for personnel unless you package them in an automated device that can do the analysis for you. They are also very expensive and require a lot of sample preparation. The niche that I see for using these Nano materials I described is detection with minimal sample pre-treatment, minimal sample preparation, analysis completed in under one hour and done in a cost-effective and simple manner. What does the future hold for your research? The next steps are to consider multi-analyte detection approaches using our liposomes so that we simultaneously detect more than just one analyte. In the case of the nanofibers, we're looking into using them for detection and sample preparation so that with the same type of technology you can actually solve two problems at the same time. With regard to the laser-scribed graphene electrode, we would like to demonstrate that these are viable transducers that can compete with currently mass-produced electrodes. We believe these electrodes can be produced in a simpler fashion while having either better or similar detection capabilities. 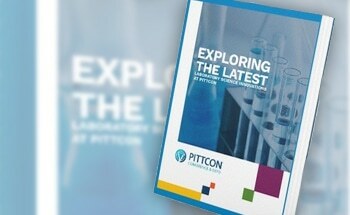 Why is Pittcon so important? I really like Pittcon because you get the entire breadth of the analytical sciences. It's not only a conference where you are highly focused on one audience. 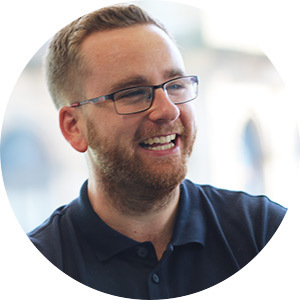 It allows you to meet people across the analytical field and make new connections. It also means you can learn more by listening to experts from adjoining fields and expand on your own research. That’s what I take away from the conference. I always feel I can start ten more research projects afterwards. It’s also a fantastic opportunity for us to share our research and inspire other experts to use nanomaterials in the same way. I also like the exhibition. It allows researchers like myself to see the direct applications and consider not only doing fundamental research, but also looking directly into what that could mean for improving analytical applications on a more societal basis. Dr. Baeumner’s research is focused on the development of biosensors and microTotal Analysis Systems for the detection of pathogens and toxins in food, the environment and for clinical diagnostics. Her research includes the development of novel nanomaterials such as liposomes, nanofibers and nanoparticles, microfluidic biosensors, sample preparation strategies, and point-of-care devices. She has published over 91 papers in high ranking analytical journals, has been awarded 6 patents and has received funding over 7 million US$ supporting her own research activities. She has chaired the Gordon Research Conference on Bioanalytical Sensors in 2010 and is elected co-chair for the GRC on Nanoscale Science and Engineering for Agricultural and Food Systems in 2019. She has also organized and chaired the international biosensor conference BBMEC in 2001 and 2015. She has received numerous awards for her research including being a finalist of the Blavatnik Award, senior fellow of the Alexander-von-Humboldt Foundation, Mercator Professor of the German Science Foundation and numerous teaching awards. very nice keep doing this really very impressive..